Share your delicious recipes with the world! Wild Backpacker needs your help! We want to build the world’s largest collection of backpacking recipes to spice up each backpacker’s life while saving them money. To do this, we need your help. 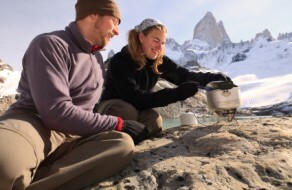 Use the form below to send us your favorite backpacking recipes for breakfast, lunch, dinner, dessert, or drinks. They will be reviewed and tested and upon approval, added to Wild Backpacker’s ever-growing recipe collection. Recipes must be original property of the submitter. Approved recipes may be slightly altered for consistency, formatting, simplicity, or other reasons.